This is not a post about bread. 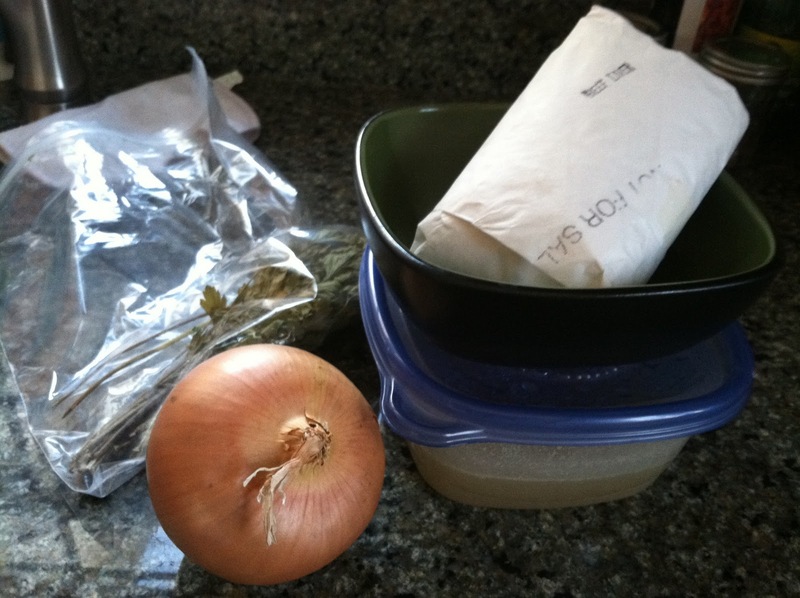 It is a post about what to put ON bread. 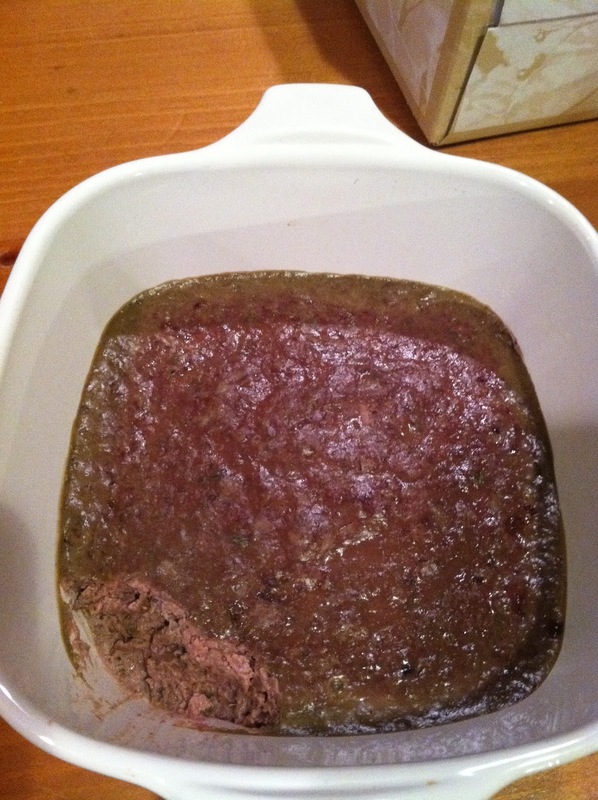 The Bread Maiden family has a ton of beef liver in the freezer, just looking to be made into paté. When I found this recipe on Casa Veneración, I knew I just had to try it. This picture includes two things you will not need in the recipe. Sorry. 2. 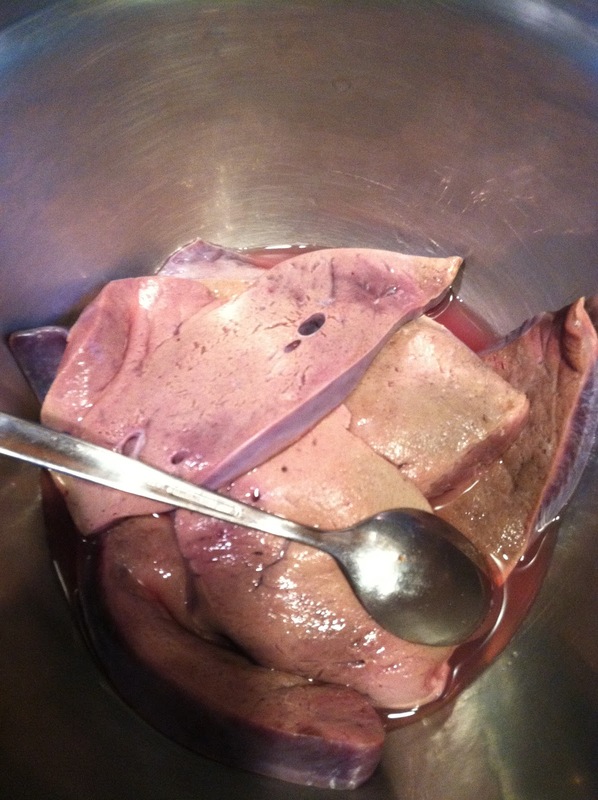 Place the liver in a small pan and cover with water. Bring to the boil, then simmer GENTLY until one side of each piece of liver is a light tan. You need to pay attention during this step. 3. Remove each piece as it reaches this color and place in a bowl. Do not overcook. Don’t worry about not cooking them; they’ll get about 20 minutes in the oven later on. 4. Preheat the oven to 375F. 5. 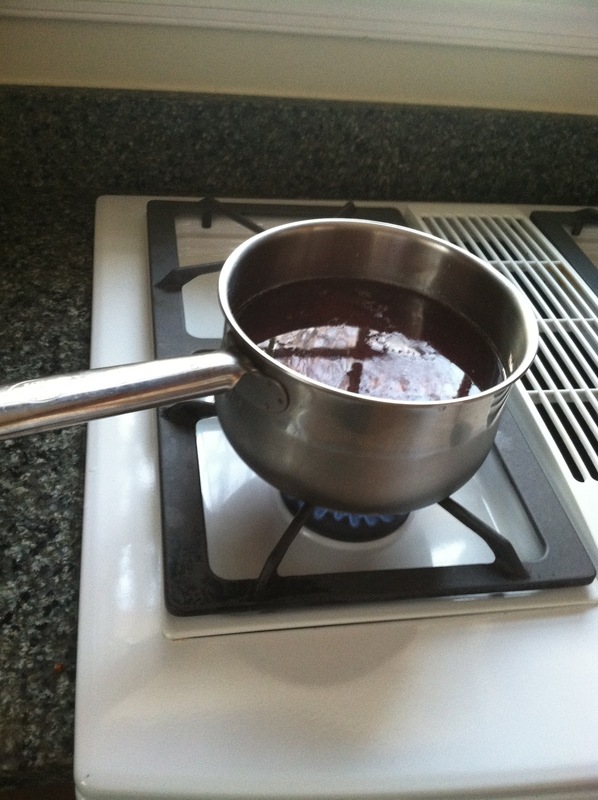 Start boiling a kettle of water. 6. Melt half of the butter in a small frying pan. 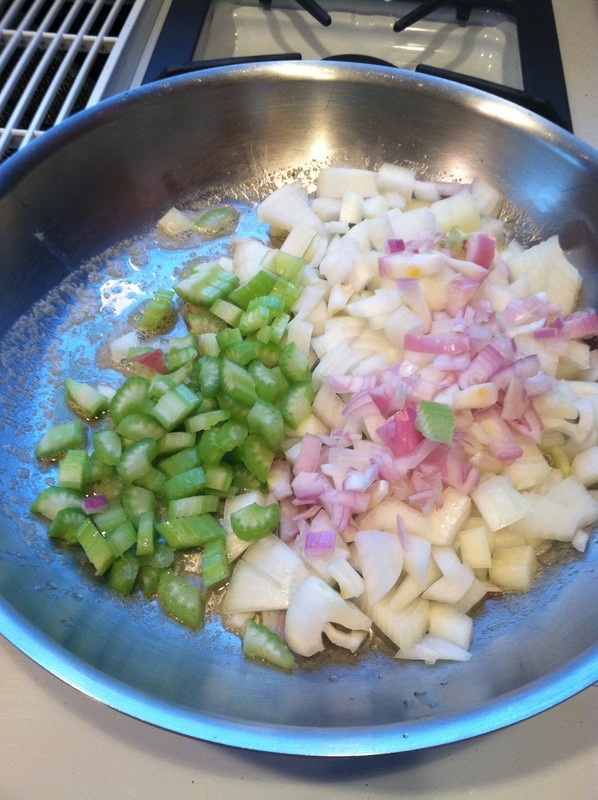 Saute the onion, shallot, and celery until translucent. Turn off the heat and add the rest of the butter. Let cool. 7. 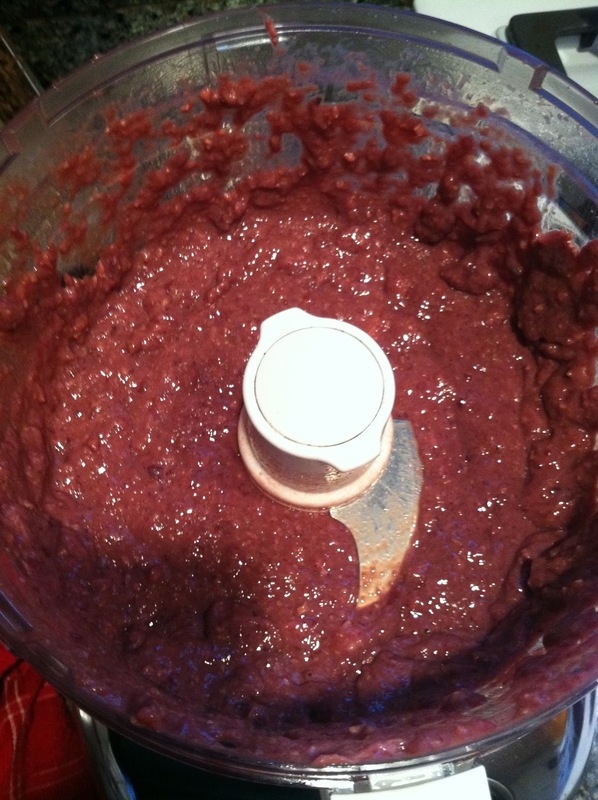 Throw the sauteed mixture and the liver in a food processor and pulse until smooth. Transfer to a mixing bowl. 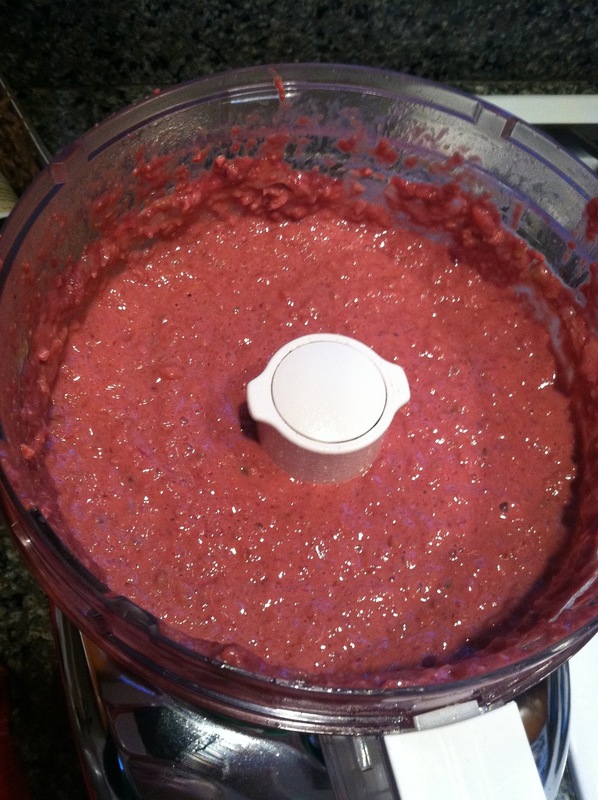 I pureed the liver first. 8. Add the rest of the ingredients. Stir. 10. Prepare the water bath. 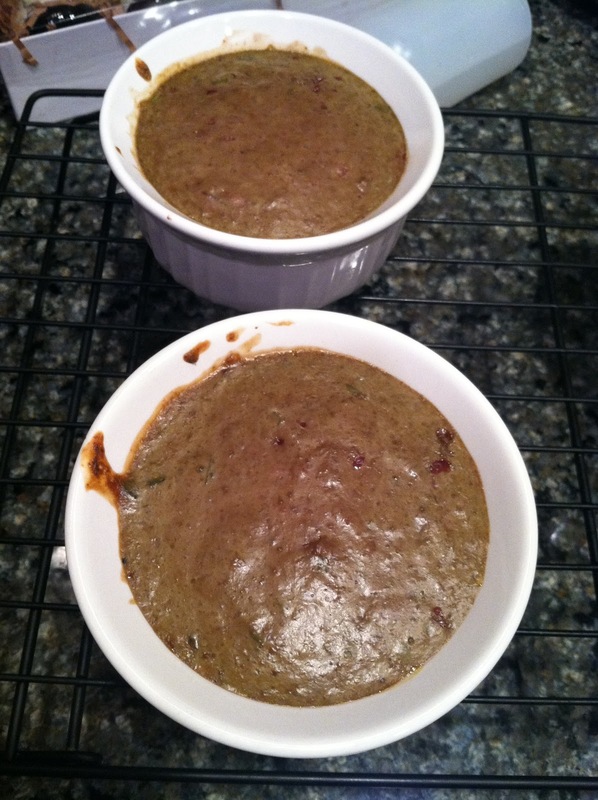 Place the ramekins in a baking dish. 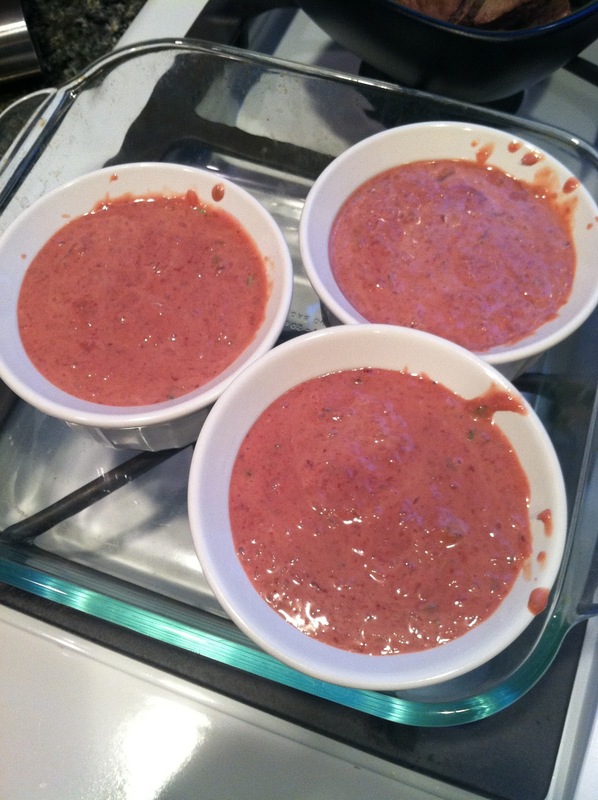 Pour boiling water into the baking dish, taking care not to spill any on the liver mixture, until the depth is about three-quarters of the height of the ramekins. 10. Bake at 375F for 25 to 30 minutes. 11. 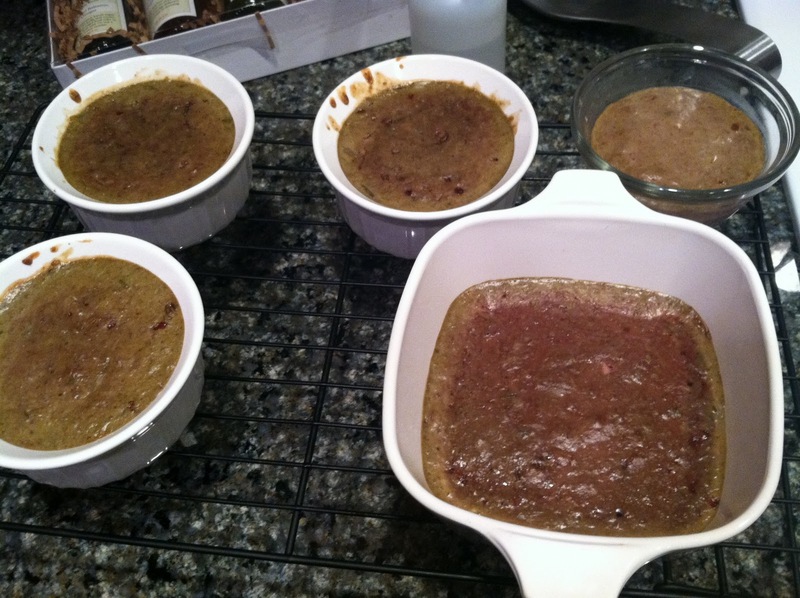 Cool the liver paté on a cooling rack. Touch the top of each paté gently to make sure it has set up properly. Once they are cool, cover the ramekins with cling wrap and store in the refrigerator. 12. 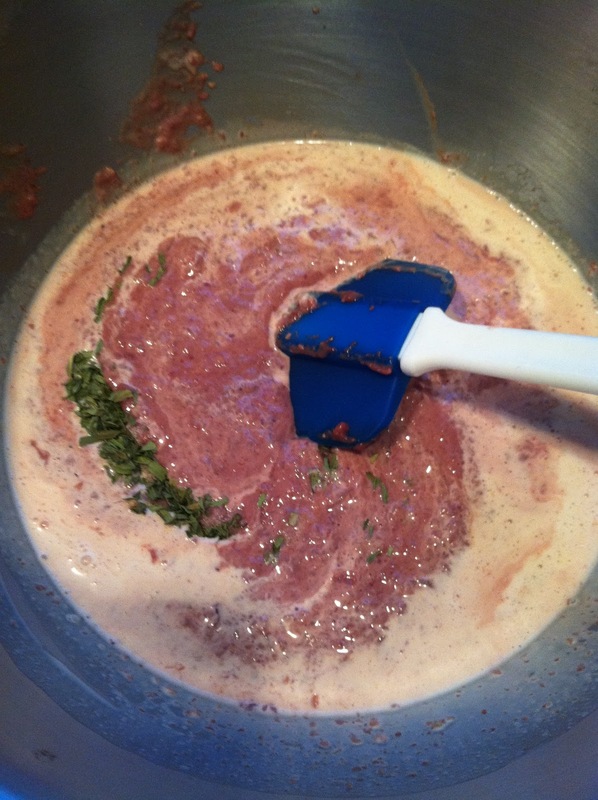 Use the liver paté as a spread or for liver-based sauces. When they come out of the oven they are sort-of an unappetizing gray-brown, but once you spoon into the paté, it’s a beautiful pink color. I should mention at this point that I dislike the taste of liver. Really don’t like it. But Mr. Bread Maiden and Little Bread Baby like it, so I make it. And this really wasn’t too bad. 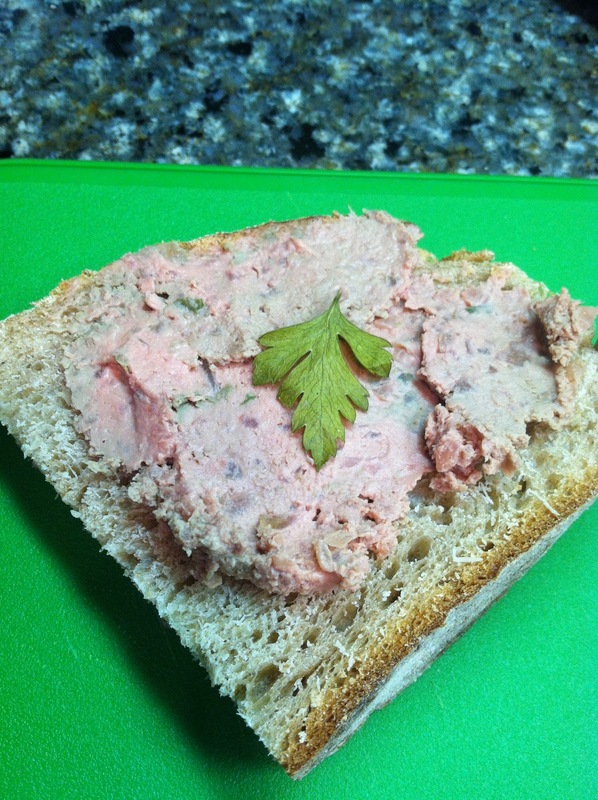 This piece of bread with paté on it, in the photo below? I ate that once I snapped the picture. Topped with lots of cheese to mask the flavor of the liver, of course. The original recipe calls for chicken livers instead of beef liver, so that would work equally well here. 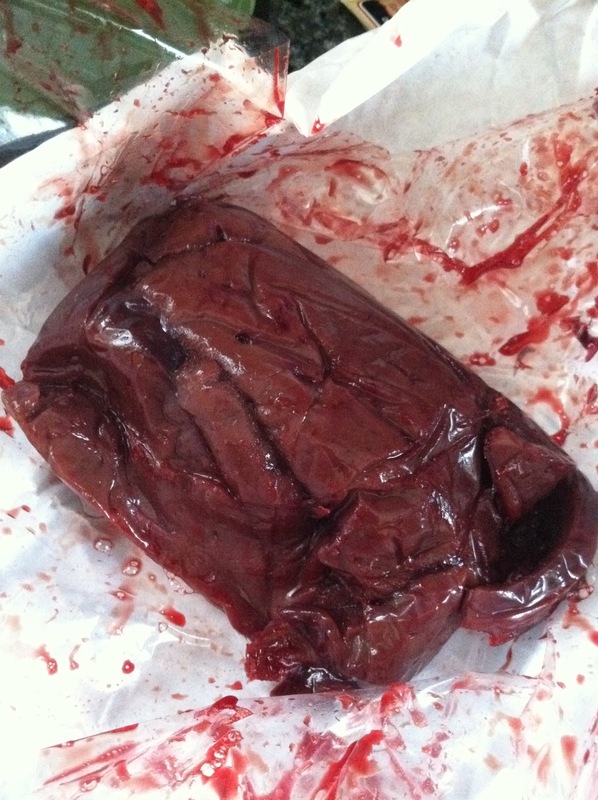 I think if a liver recipe is good enough that even *I* will eat it, then it’s a winner!